A newborn Jaguar cub was born at the zoo and died after two days. The caretakers at Associação Mata Ciliar in Brazil cannot understand why its mother ate it. Jaguar Program executive director and conservation science executive director for Panthera, Howard Quigley, a worldwide conservation organization aimed to protect wild-cats who had no dealings with this particular case, said it is difficult to say why a mother would eat her cub. More needs to be learned about the Jaguar and how they act in the wild and captivity. Quigley told Live Science that he had been studying jaguars that live in the wild for over 25 years, and he still does not know many things. He said researchers do not go into the dens of the Jaguars. It is unknown if it is normal for mothers to consume their cubs in the wild. Despite the cub dying after two days and the mother consuming it, the birth should be celebrated. According to a statement by the Cincinnati Zoo & Botanical Garden, this was the first cub born through artificial insemination. The Cincinnati Zoo’s scientists were involved in the endeavor. Bianca, the mother of the cub, was a Panthera Onca Jaguar born in the wild. 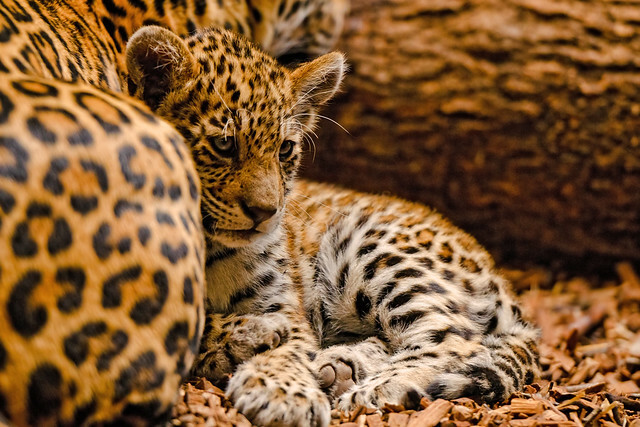 In November 2018, she was one of the five Jaguars who the zoo artificially inseminated. The zoo staff monitored the mother and cub who was born on Feb. 16 by remote video. Bianca appeared to be a good mother, and the cub healthy the zoo reported. The cub died suddenly. Zoo staff is not sure if Bianca killed her baby or if the cub died from some other causes. After her baby died, she immediately ate it. Quigley said if the cub passed away from other causes, Bianca would have seen it as food, which is why his mother ate it. There are no documented cases of a mother killing her baby and then eating it Quigley said. He added animals must learn, like in any mother, how to be a good one. If a mother is a first-time mother, one will never know what happens.